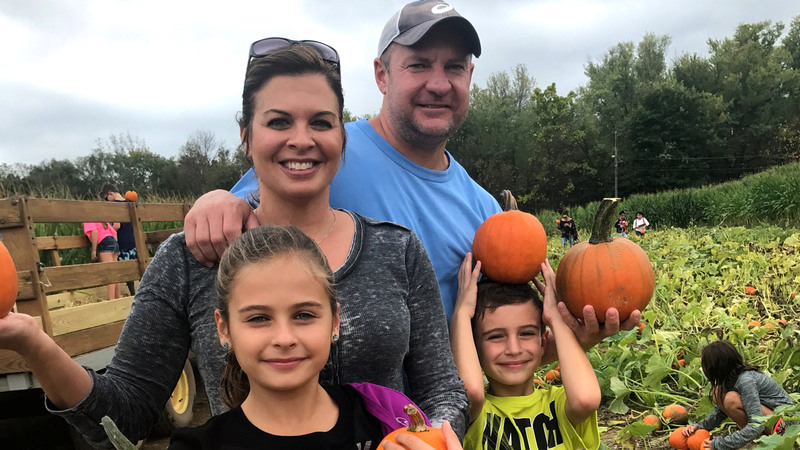 NEW YORK (WABC) -- With Halloween just around the corner, the time to take your family on a fall harvest adventure is now. 1. Abma's Farm in Wyckoff, New Jersey, is a family-owned farm about 25 miles west of NYC. It features public hayrides through their pumpkin patches for only $5, and a Trunk-or-Treat Halloween party for young kids this Saturday from 9:00 a.m. to 12:00 p.m. But hurry! Hayrides are ending this weekend on October 28. It will be open from 10:30 a.m. to 4:00 p.m.
2. Demarest Farms in Hillsdale, New Jersey, is known for its pick-your-own seasonal fruits throughout the year. Although their apple-picking season has unfortunately ended, pumpkin picking is open to the public through the end of November at $7 per person. They are Monday through Friday from 3:00 p.m. to 4:30 p.m., and on Saturday and Sunday from 9:00 a.m. to 4:30 p.m.
3. Fishkill Farms in East Fishkill, New York, may be a little far from NYC, but it features a huge 40-acre apple orchard and a harvest festival that is worth the trip! Their festival will be finishing this weekend on October 29, and offers live music, hayrides, a corn maze, and of course, apple picking from 10:00 a.m. to 5:00 p.m. The deal is a little sweeter this weekend with free admission to the orchard and the corn maze. 4. Queens County Farm Museum in Floral Park, New York, is nice and local, located on the eastern edge of Queens. Though they are open year-round, their fall festivities are ending this Sunday, October 29, with a special Children's Fall Festival and costume party from 11:00 a.m. to 4:00 p.m. Admission to the festival is $20. The museum is also offering hayrides and pumpkin picking through October 28 from 11:00 a.m. to 4:00 p.m., and has a haunted house that's specifically made for children ages six to 12. 5. Fall Fun at Lupardi's Nursery in Closter, New Jersey, is perfect for little kids. It includes a fun hayride, games and walk-through haunted house, plus a 30-foot tree house slide and a fun petting zoo! Open M-F 8-5 p.m. and Saturday 8-4 p.m. and Sunday 10 a.m. - 3 p.m.
6.Blossom Time Flowers -- This is actually in New York City! Even though it is on Victory Boulevard, you'll feel like you're in the country at this delightful family-run florist in Staten Island. Enjoy 400 feet of animated decorations, live ducks, rabbits and tamed squirrels! Plus, there's pumpkin picking throughout a fun interactive experience behind the shop. Saturday 9 a.m. - 6 p.m. and every Sunday in October a Fall Festival 9 a.m. - 5 p.m. Admission is free.